That doesn’t stop me from adding generous amounts of it to my hummus though. I sauté it a bit though, to tone down the garlic. Oops, I’m getting ahead of myself. 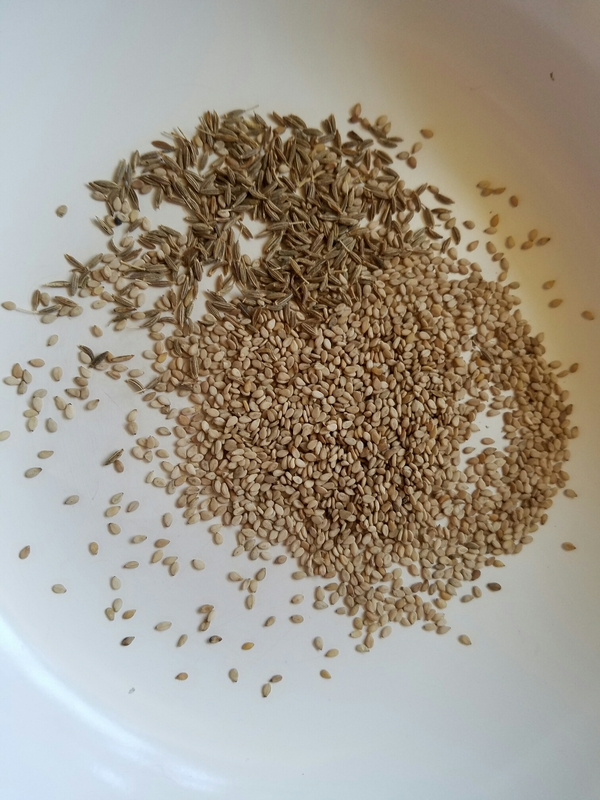 Here’s what you need: 1 tablespoon sesame seeds, 2 tablespoons olive oil, garlic, can of chickpeas, salt. 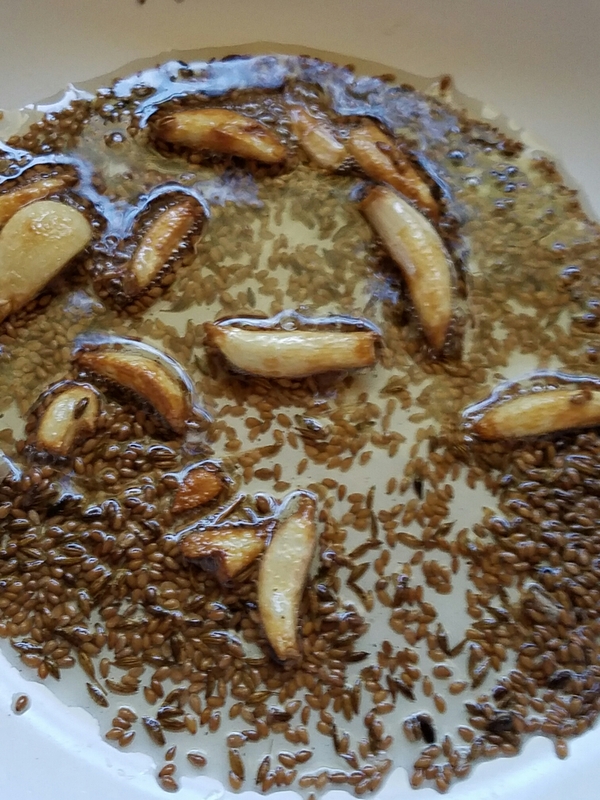 First I put some sesame seeds in a pan to toast. I like to add some whole cumin also. Sometimes I go crazy and add a sprinkle of chili powder too. 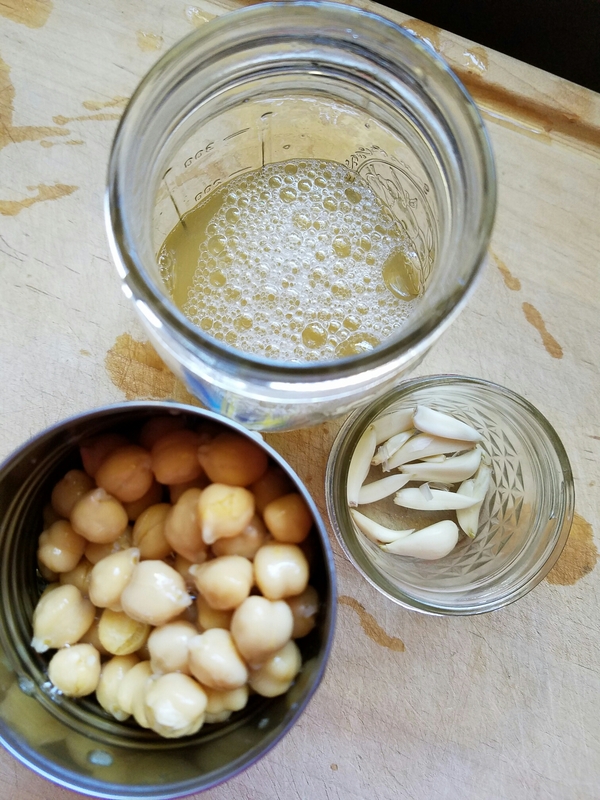 I don’t buy my tahini; I make my own version. Check the ethnic section of your grocery store, as you may be able to buy a bag for less than a dollar. 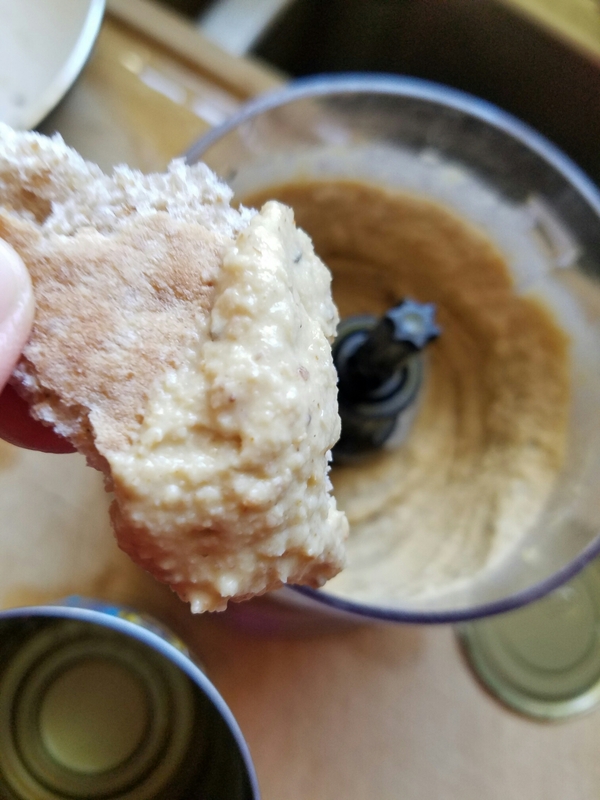 I use about a tablespoon for each batch, and it adds a really nice deep, smoky, savory depth to the hummus. You can toast them dry, but I have also added a couple tablespoons of olive oil at this point and had it turn out very tasty. Meanwhile, drain the can of chickpeas, reserving the water. Peel some garlic. Once the seeds are toasted, add your garlic. There’s no need to chop it, but just be sure they’re about the same size so they cook at about the same rate. Sauté until slightly browned. You will still get garlic flavor, but it won’t be as harsh. Add sea salt to taste. Add a squeeze of lemon juice to brighten the flavors if desired. Serve with cut veggies. To make it a lunch, I like to round it out with some carbs like pita bread, pretzels, or pita crackers. 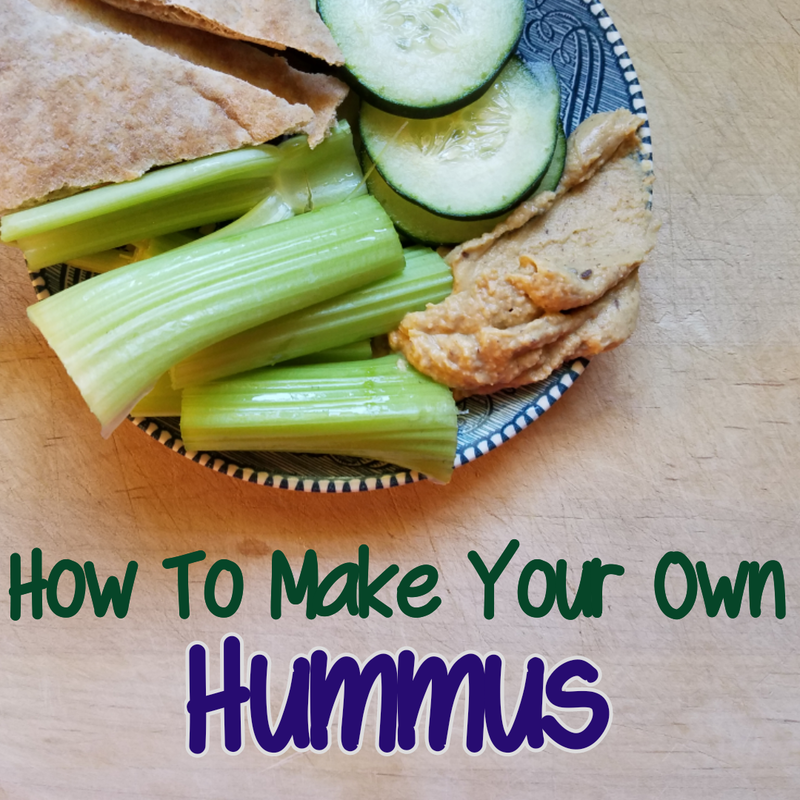 Do you make your own hummus? What do you like to add? If you’ve never made your own, why not give it a try? It doesn’t cost very much, and you may fall in love with the results!